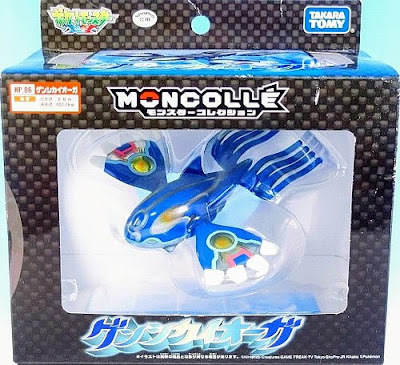 Pokemon figure Tomy Monster Collection AG series Kyogre カイオーガ. Note: AG series number 198 & 382. Clear version in 2003 Movie promotion. 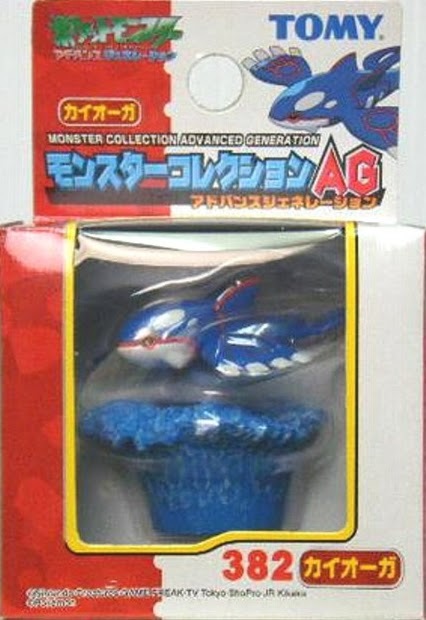 Base with sparks. 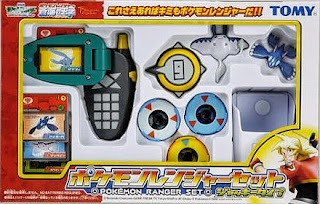 Same pose in AG Trainer set. Clear version in AG 6 pcs figures set. Base without sparks. 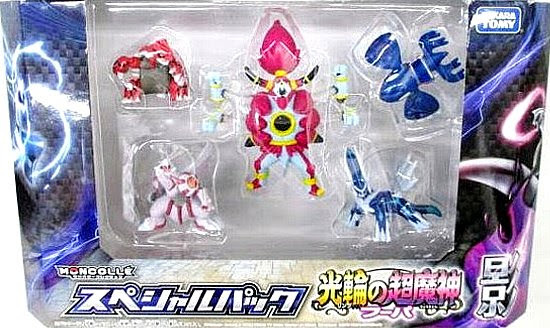 Same pose with pearly version in Tomy toys Pokemon ranger set Jack type. 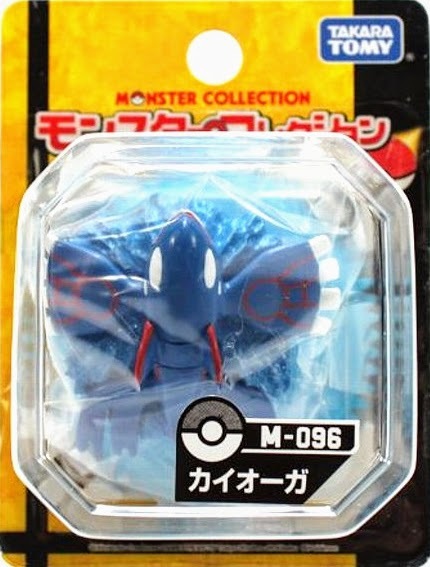 Same pose as Battle Scene with matte paint in 2015 Hoopa movie set. 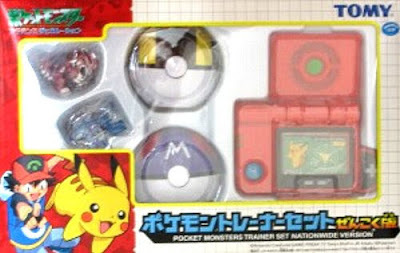 Battle Scene clear version in magazine Pokemon Fan Vol 39 attachment. 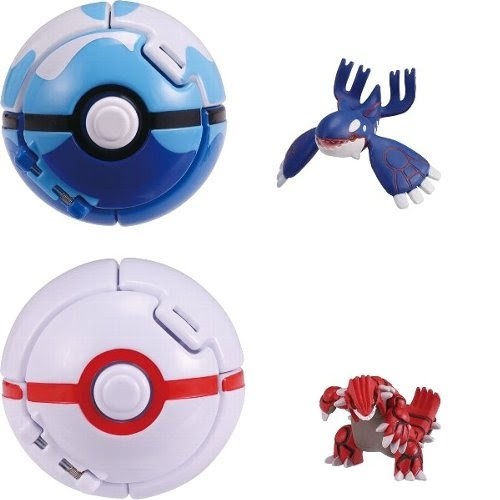 Matte paint in PokeDel-Z with Dive Ball, release on June 30 2018. 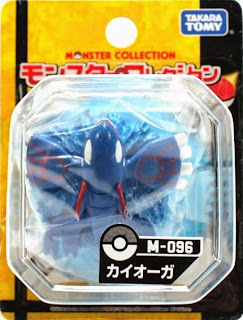 Hyper size in Monster Collection Hyper Size MHP series. 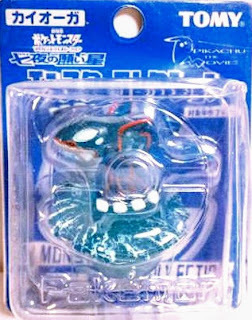 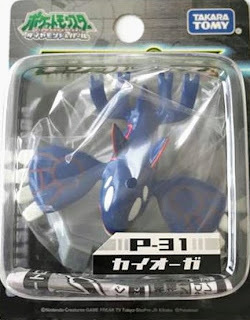 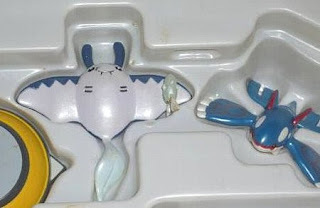 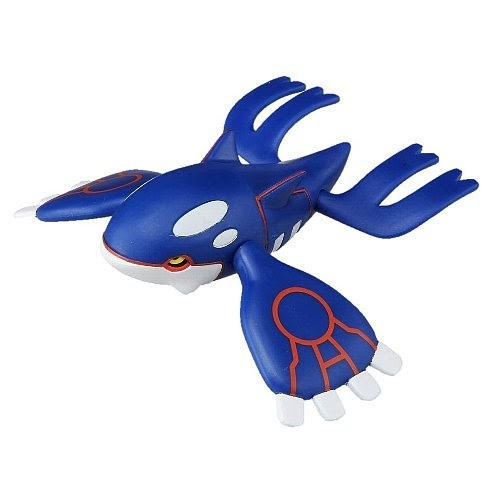 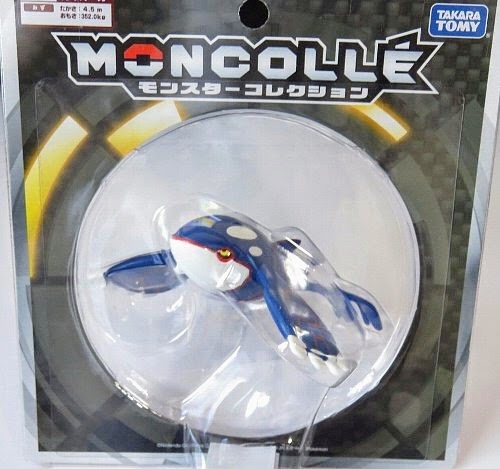 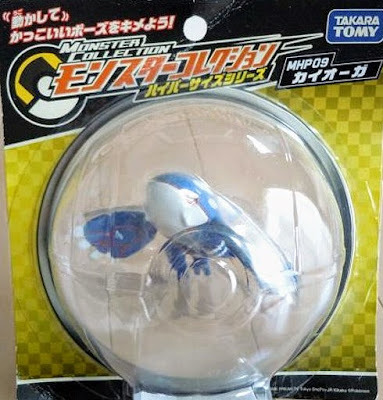 Primal Kyogre figure in MONCOLLE HP seires. MONCOLLE EX series EHP_09 (seems MONCOLLE HP re-release) will come in May 2018, refer to Release News May-Aug 2018. 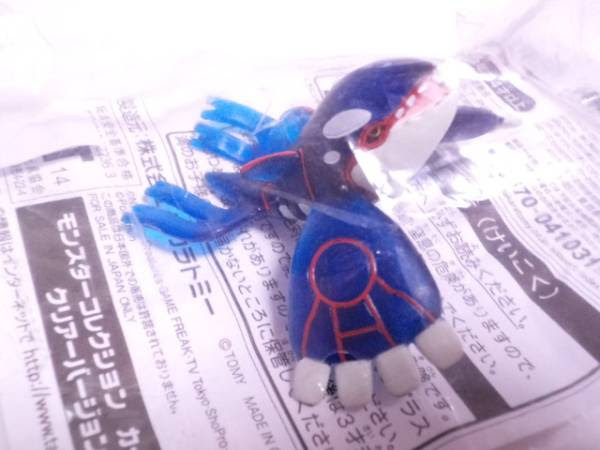 Package images will be posted soon. 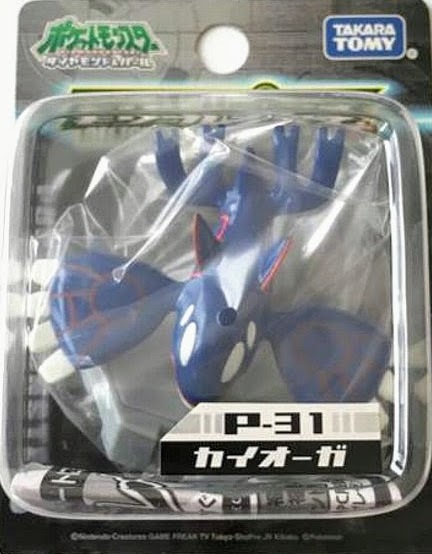 Kyogre in YJ Auction ? 2015 Hoopa movie set in PokeVault ?